Attention clay enthusiasts! In this 5-day workshop, we’ll prep a few pieces, explore glaze painting styles, then finish our pieces using a raku firing technique that creates special effects in the glaze. Resulting pieces are for decorative use only (not food safe). For students with previous ceramics instruction who would like to advance their glazing skills. Supplies included. Please enter through the 5th Street door. The January 31 class will meet at The Potter’s House, 1601 6th Street, La Grande. Teaching Artist Bio: Kurt Dittman studied ceramic art at the University of Alaska Fairbanks. 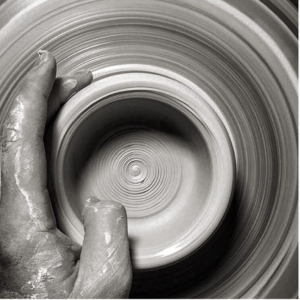 He has been a full time potter for over 10 years and taught in Fairbanks, Alaska and The Creamery Art Center in Hotchkiss, Colorado. He has taught many Ceramic classes for Art Center East.